Yanfeng Ouyang, Professor of Civil and Environmental Engineering at the University of Illinois. Credit: University of Illinois at Urbana-Champaign Department of Civil and Environmental Engineering. In March of 2011, a powerful earthquake off the coast of Japan triggered the automatic shutdown of reactors at the Fukushima Daiichi Nuclear Power Plant and simultaneously disrupted electricity lines that supported their cooling. Had the earthquake been the only disaster that hit that day, emergency backup generators would have prevented a meltdown. Instead, a tsunami immediately followed the earthquake, flooding the generators and leading to the most serious nuclear accident in recent history. For systems expert Yanfeng Ouyang, a professor of civil and environmental engineering (CEE) at the University of Illinois, it was a perfect example of the problem of designing systems against correlated disruptions. Until now, systems engineers have struggled with the problem of planning for disaster impacts that are linked by correlation—like those of earthquakes and tsunamis—because of the cumbersome calculations necessary to precisely quantify the probabilities of all possible combinations of disruption occurrences. When correlation exists, the probability of a joint disruption is not simply the product of those of individual disruptions. This leaves gaps in our understanding of how to design infrastructure systems with the greatest disaster resistance and resilience. Now Ouyang and fellow CEE researchers have developed a new method for designing and optimizing systems subject to correlated disruptions. This method eliminates the need for directly addressing the many combinations of disruptions that have made such problems difficult to model in the past. They described it in a paper published this month in Transportation Research Part B, Methodological, the latest in a series of related papers from recent years. One of the keys of their method was incorporating negative probability, a concept seemingly never before utilized for system design purposes. 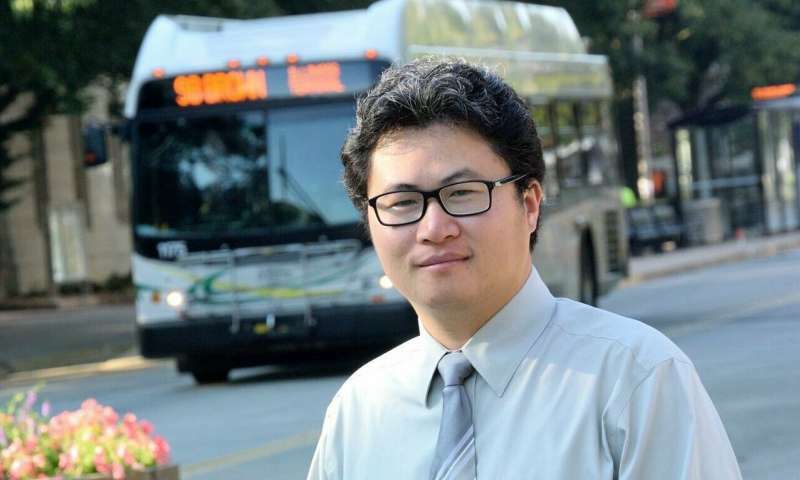 "With this concept, we developed a new methodology to help design systems with which we had difficulty before, such that they can be more resistant to disasters and more resilient than before," said Ouyang, the George Krambles Endowed Professor in Rail and Public Transit, who led the series of work with former doctoral students including Siyang Xie (Ph.D. 18), now a research scientist at Facebook, and former postdoctoral researcher Kun An, now a faculty member at Monash University in Australia. The team's new computational method is widely applicable because it can be used to model and optimize any networked system—for example supply chains, transportation systems, communication networks, electrical grids and more. The method incorporates a virtual system of "supporting stations" to represent the correlated vulnerabilities of infrastructure components in the real world. This allows systems engineers to translate complex impacts of disasters on the components into simple and independent impacts on the supporting stations. For example, in the case of two warehouses whose operations may both be disrupted by a snowstorm, one imagines that their functionalities rely on some virtual power supply sources, each of which serves as a supporting station to the warehouses. By setting proper dependency between the two warehouses and these power sources, one can translate the correlated functionality states of the two warehouses into independent disruptions of the shared power supplies. "We showed that any number of infrastructure components with any type of disruption correlation among them can be described by a properly set-up system of such virtual stations, where each of them fails only independently of each other," Ouyang said.This construct makes the calculations considerably more manageable because it significantly reduces the complexity of representing failure correlations in the design model. "We now have a new way of describing the system," Ouyang said. "We go from a system where there is correlation into an equivalent system where there is no correlation—every failure is now independent of the others, so the probabilities are much easier to compute." In order to accurately represent the behavior of systems in the real world, the team had to introduce the concept of negative probability for station disruptions, which allows their models to address negatively correlated disruption risks of system components. While positive correlation indicates that infrastructure components have dependencies driving their behaviors under disasters to move in the same direction, negative correlation, on the contrary, expresses the idea that the effects of disasters on one component implies the opposite effects on another. For example, when two warehouses compete for limited resources, one would gain benefit when its competitor is under loss or experiencing difficulty. Similarly, if an area near a river is flooded, other areas downstream might be better off because the water pressure was released. Although negative correlation is a well-known concept, negative probability sounds somewhat unorthodox. At first the researchers were unaware that a similar concept was already in use in the discipline of quantum mechanics; they just knew from mathematics that they needed to represent the possibility of a disaster affecting competing entities in opposite ways. Because they had to translate correlation from the real-world system to the virtual structure of supporting stations, the likelihood of a supporting station to be affected by a disaster had to incorporate the risk of multiple components, some of which would be negatively affected and some of which might be positively affected. The "failure propensity," as they originally called such a negative probability in a 2015 paper, of a supporting station could therefore be larger than 1—or equivalently, the complement being negative. To the best knowledge of the researchers, using this concept for engineering applications is brand new, enabling them to solve problems that were previously prohibitively difficult. The team hopes engineering designers of all kinds of networked infrastructure systems will embrace it, leading to smarter engineering designs for greater disaster resistance across a broad spectrum of system types. A hurricane shouldn't bankrupt your insurance company. "... leading to the most serious nuclear accident in recent history..."
Number of deaths linked to radiation: zero. 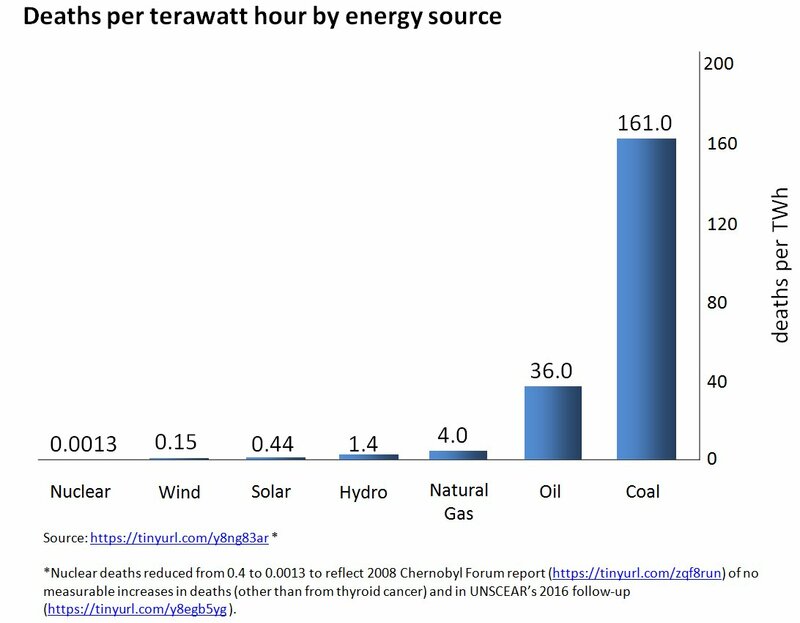 Fossil fuels and renewables are far deadlier per unit of energy produced than carbon-free nuclear.